Lindab is one of Europe’s leading Volume control damper supplier and have the largest range available in the market. Volume flow regulator model VRA consists of FRA is a measuring unit with a measuring cross, which is used for measuring volume flow in rectangular ducts. FRA is equipped with Belimo VRD3, which provides an output signal that is proportional to the volume flow. 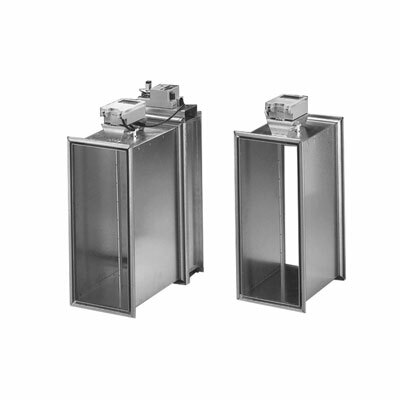 VRA consists of a FRA measuring unit and a DJP type damper put together to form a complete unit. VRA is used for volume flow regulation in rectangular ducts, either for constant volume flow with step control, e.g. controlled by a switch or clock, or for variable volume flow, where the volume flow varies between a defined minimum and maximum limit. AAAT Aquacooler controller is able to provide a time based schedule with varying ventilation rates based on occupancy.